The WBXaustSS is the first all-stainless steel Tri-Y acoustically-tuned exhaust header system designed just for the VW Vanagon waterboxer. The system is a collaboration between Vanistan and Rocky Mountain Westy in Colorado, and is hand-built by the master fabricators in RMW’s Fort Collins workshop using all US-sourced materials and subcomponents. 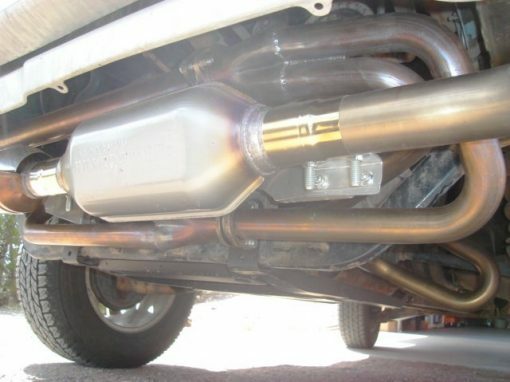 Acoustic exhaust tuning uses individual header pipes of equal calculated length to time sharp sonic pulses that scavenge spent cylinder gases and increase intake airflow at a chosen rpm range, boosting the engine’s mid-range torque curve. 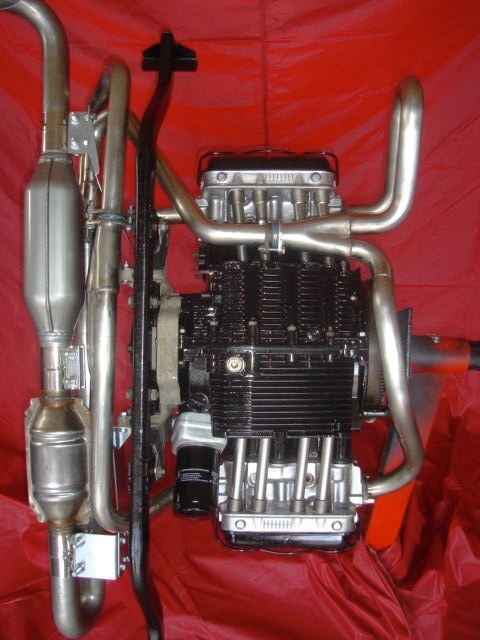 Pipe diameter is chosen to maintain the highest possible gas velocity throughout the engine’s operating range. The 4-into-2-into-1 “Tri-Y” configuration is much more complicated to design and build, but it increases torque over a much broader rpm range than a cheaper 4-into-1 racing header. 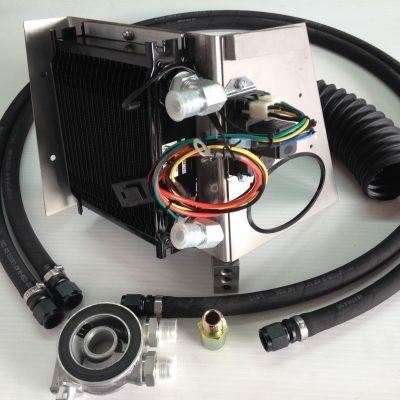 This system will boost peak torque and horsepower by 15-20% in the rpm midrange compared to the stock waterboxer exhaust, whether it’s on a 1.9*, 2.1, or modified waterboxer of any displacement. Overall engine flexibility, throttle response and maximum power are markedly improved. It makes a sporty growl at full throttle but is barely louder than stock at mid-throttle or cruise. 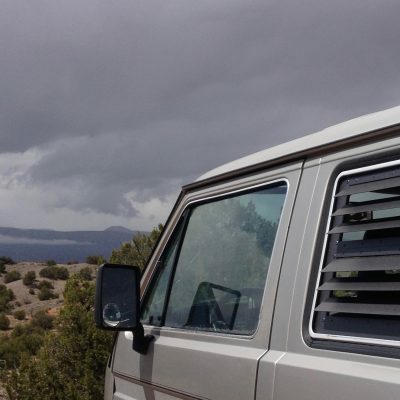 It fits any waterboxer in any year Vanagon*, including Syncros, with no loss of ground clearance, and normal fitting of Syncro skid plate and bars. Top-quality 16ga. 304L mandrel-bent tubing. 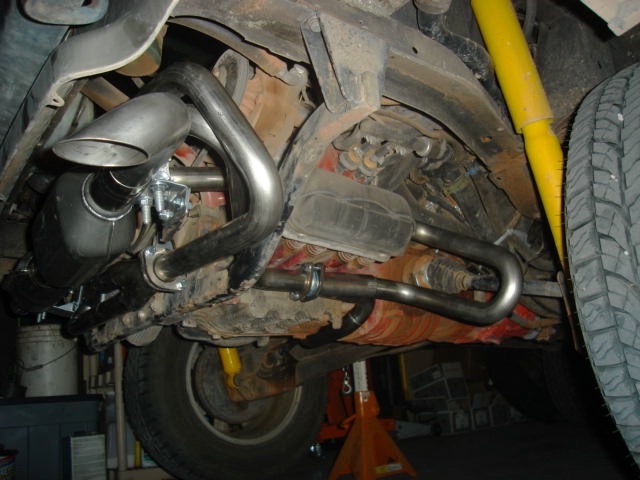 Magnaflow stainless catalytic convertor with built-in O2 sensor bung. Custom powdercoated steel support brackets. 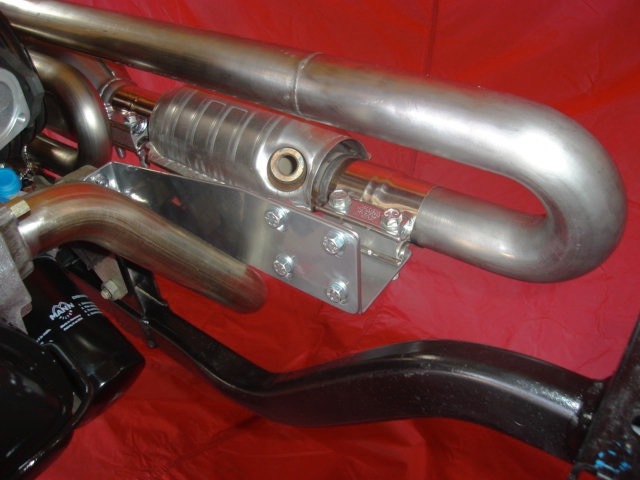 Stainless band clamps allow easy component replacement without welding. Kit is drop-shipped from Fort Collins, CO by UPS. UPS requires phone number for delivery. 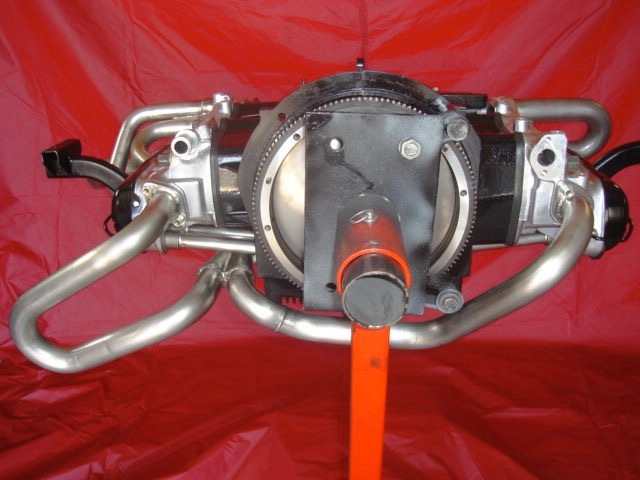 *Installation on 83-85 1.9 engines requires replacing the cast aluminum engine carrier bracket with the 2.1 version that has the muffler saddle “ears” where the muffler support brackets attach. Price includes used 2.1 carrier bracket. 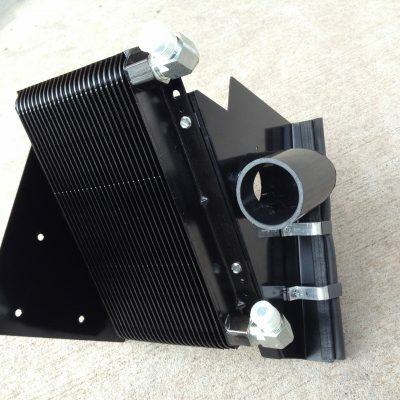 The 1.9 rear muffler heatshield also must be slightly modified, or replaced with the 2.1 version. Compliance with your state, county or municipality’s emissions or inspection requirements, if any, are the sole responsibility of the customer. No guarantees are expressed or implied that this exhaust will comply with your local requirements. No returns or refunds will be offered in cases of non-compliance.